Below is a checklist of tasks to consider before handling over an iPad, iPhone or iPod touch to a child. This list provides a summary of the tasks that should be considered when setting up a child's device. The details associated with how to complete many of these tasks are covered in tutorials available from iTandCoffee. See toward the bottom of this page for how to access these tutorials. Go to Settings -> General -> Software Update and download and install the latest version. Make sure you are on Wi-Fi, and that the device is on a charger while you do this. If the child does not already have an Apple ID and is under 13: Set up an Apple ID for the Child on a parent's iPad or iPhone. Go to Settings -> [name] -> Family Sharing - and create a child's Apple ID. It is free to create an @icloud.com email address. If your child does not already have an Apple ID and is 13 or over: The child can create their own Apple ID from Settings. If your child already has an Apple ID of their own, there is no need to set up a new one. They can continue using the existing Apple ID. This Apple ID can be added to your iCloud Family, so that you can share content and use other features of Family Sharing. Link each child's Apple ID to a parent's iCloud through Settings -> your name -> Family Sharing on your own (parent's) device. Make sure Mum (or Dad) has Find my iPhone set up and each child is sharing their location with the parent/s - so that the child's device/s can be located if 'mislaid', lost or stolen. In Screen Time's Content and Privacy Restrictions area, consider turning off the child's access to the Passcode setting. In Privacy settings, make sure that Location Services is turned on for Find My iPhone and essential apps and features only - turn it off for Camera, so that the kids' photos don't include their location. Then go to Screen Time and 'prevent changes' to music volume. Turn on iCloud Backup in Settings ->[name]->iCloud->iCloud Backup and make sure they will enough storage in their iCloud for all their school work. ​Who can be their friend in Game Centre? Go to Screen Time area in Settings and set up Parental Controls for the device. I recommend using the iOS app 1Password for this - free from the App Store (if you use the option to Create a standalone vault instead of subscribing to the paid service). Need more information about how set up your child's device? In this comprehensive tutorial series, we look at how to set up and use the built-in Parental Controls of the iPad, iPhone and iPod Touch - to help keep your children safer while using these devices. The series also looks at iCloud in families and how to avoid a condition we call 'iCloud confusion', and several other tips that parents will find very handy. Your purchase of this product gives you 30 days' access to these tutorials. Alternatively, become a Plus, Online or Premium member of the iTandCoffee Club to watch these videos at any time during your yearly subscription period. Below is the list of topics that arecovered by this tutorial series. Can your kids see all your passwords? We have a great set of video tutorials that will walk you through setting up all the necessary Parental Controls on the iPad, iPhone and iPod Touch, covering the latest version of iOS (iOS 12). 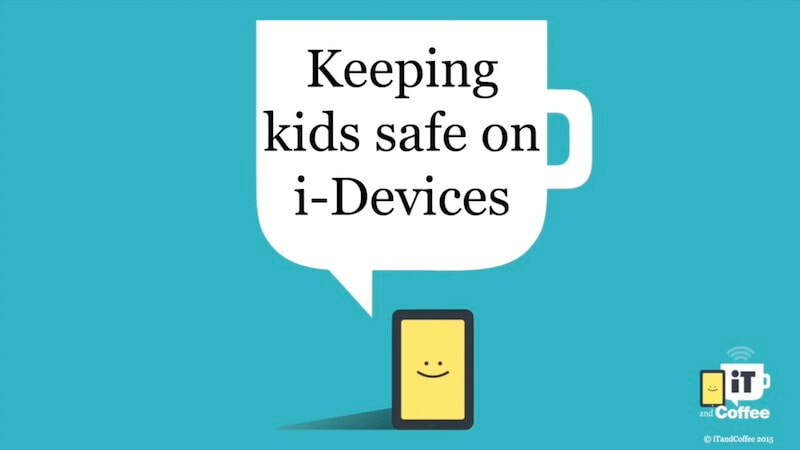 The Keeping Kids safe on the iPad, iPhone & iPod Touch series of tutorials is a 'must watch' for anyone who is unsure about how to set up these parental controls. The series also includes advice no how to ensure your child doesn't have access to all your passwords, how to lock the child into a single app and set a time limit, and more. Select the image above to view the list of topics that are covered by the tutorial series. ​Non-members who wish to purchase access to these tutorials can choose Add to Cart, and then choose the Cart symbol at the top of the page to complete checkout. Save 50% on the price shown, by entering the Coupon Code 50OFF119 at the checkout. Once you have purchased access, choose the below button to start watching the videos. Do you need help with any of the above? 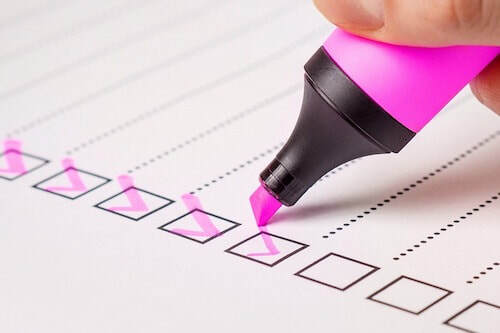 We know that the above list only covers the 'what', and not the detail of 'how'. iTandCoffee can help you with the 'how' - just call 1300 885 420 to book an appointment​ or book online using the button below. iTandCoffee also regularly run classes and workshops to assist parents - see below for any that are currently scheduled.